Autumn in India is all about festivals. Every day brings in the smell of the coming festivities, the joys and the of course the food. Shopping, visting places, meeting relatives and friends,travelling, pandal hopping, worshipping the goddesses, painting the house, coloring rangolis, eating, cooking – all comes as if in a package in this festival season. For the last couple of days I had been doing all these. Visiting my native was one of the main dos in the list. I visited Kolkata, my hometown. As you all feel when you go back home after a long long time I felt the same. My mom, my aunts and everybody in there was ready to welcome me with my favorite platters. For one whole week I had been eating and eating with of course learning these dishes. As I was not able to celebrate Diwali with my family, I managed to have the taste of the celebration a few days before the day. 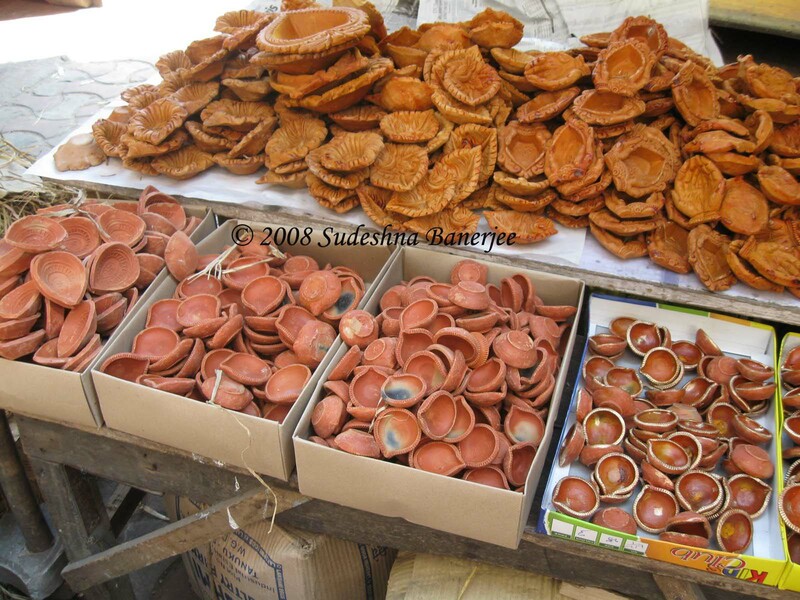 Me and my sister went out shopping for the terracotta diyas and painted them with acrylic paints, it was so much fun. Talking about food I had a pretty good share of the typical home-made dishes and I’ll be putting up one in each of my following posts starting from today with Daler Vada. Daler vada is a typical Bengali starter and also a side dish with rice and dal. Take the onions in a bowl and pour in one tablespoon of oil and soak in the onions. Add the other ingredients to the onions. Pour in enough matter to make a soft dough and keep for half an hour. Heat oil in a pan and fry the dough in small balls. Serve with sauce as starter or with rice and dal as a great side dish. 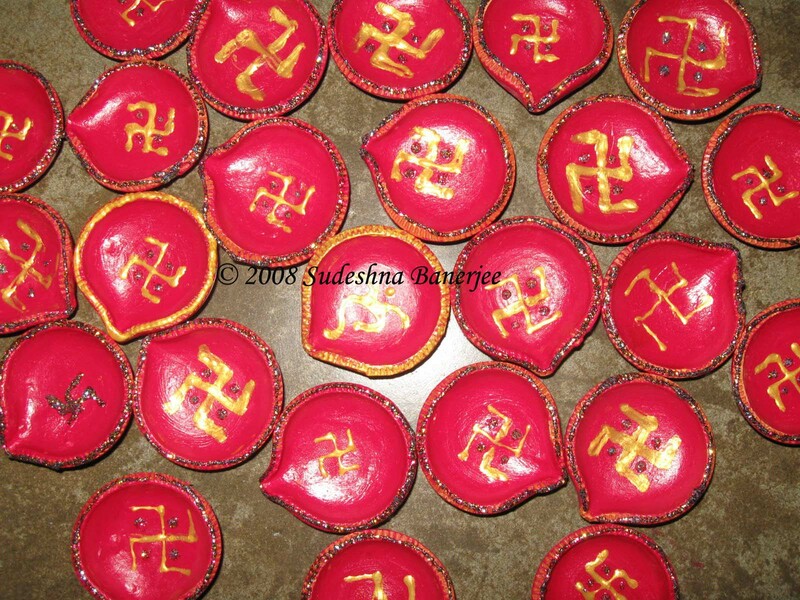 Hope you had a great Diwali. Stay in touch for more updates on my Kolkata trip. 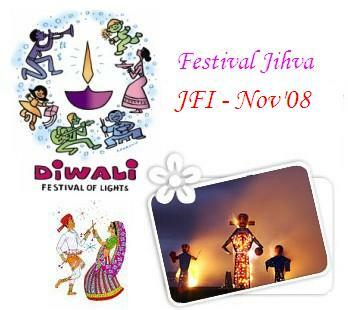 Also sending the recipe to JFI – Nov’08 – Festival Diwali hosted by Srivalli. 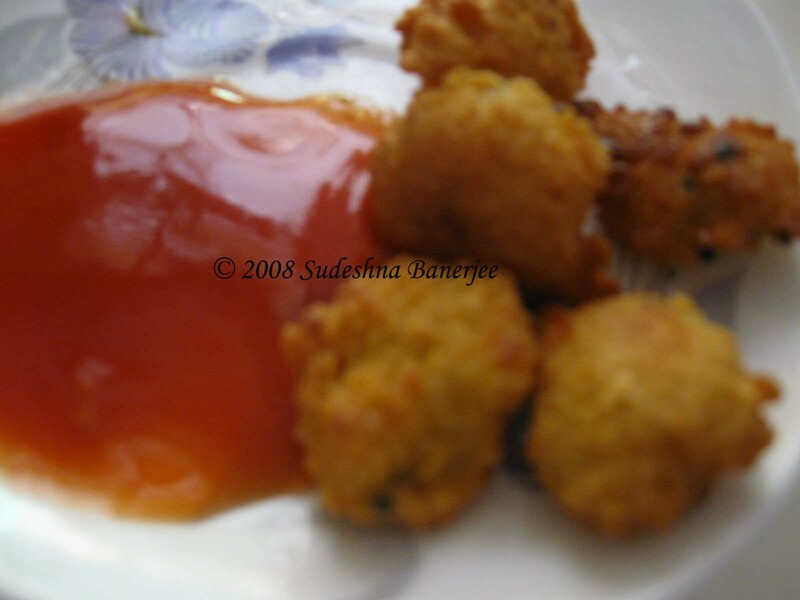 What better than some pakoras with a little chit chatting in parties, and this is a great easy to make snack for any party, so sending my recipe to WYF: Party Food event announcement hosted by Simple Indian Food- An Easy Cooking Blog. Priya has also got a little present for me this Diwali, check my awards page for more details. 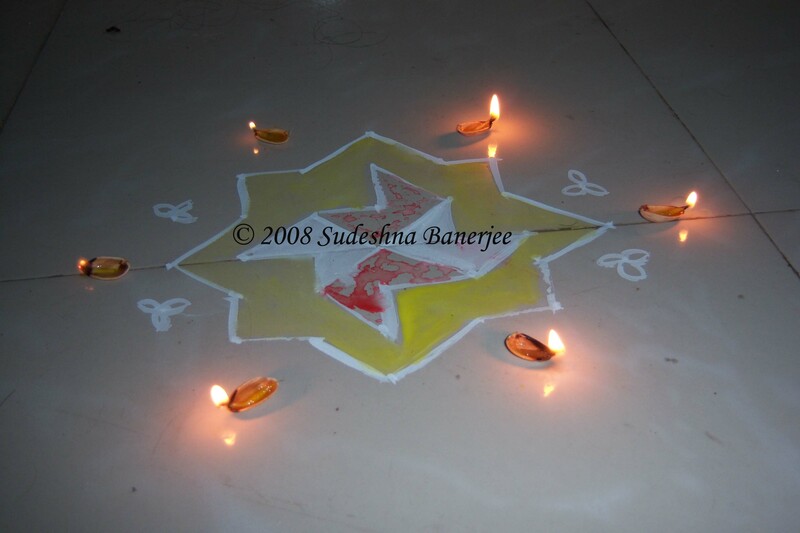 Thats for the lovely entry..diyas look great so do the other pictures! 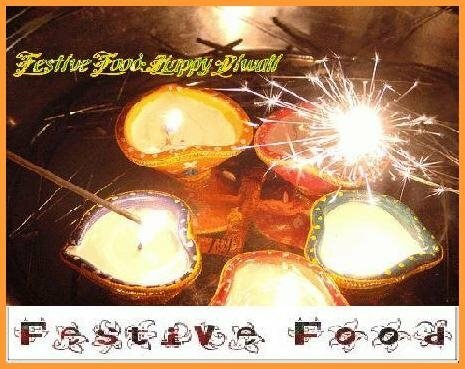 Hi Dear Wish you Happy Diwali (Belated) :)…the pics are looking beautiful….the diyas are very nice n so the vada.l…Thanks for the lovely entry.